This documentation will show you how to take your promotion and set it up on Facebook inside of a page tab. 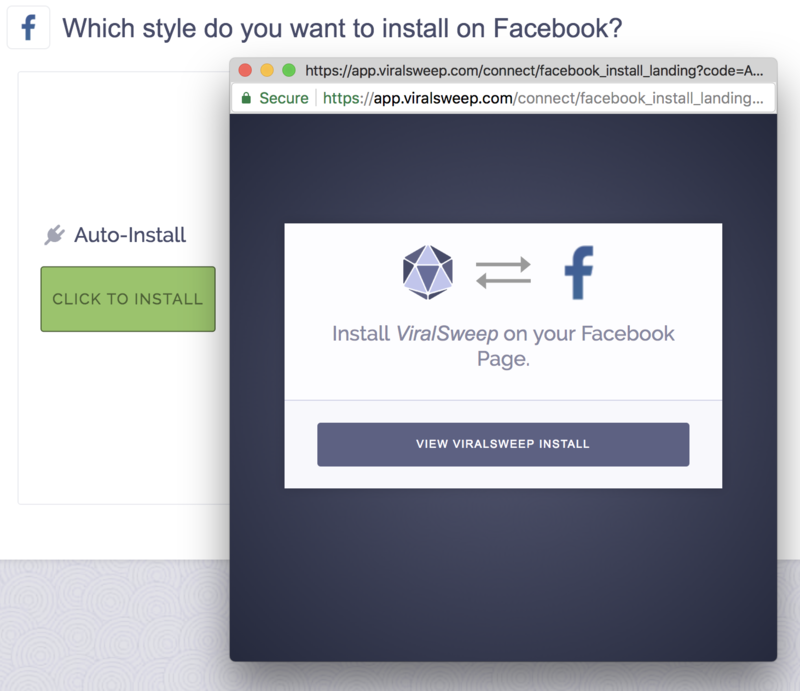 ViralSweep offers a simple way to install your promotion on your Facebook page. Simply hover your promotion in your dashboard and click the Install button. 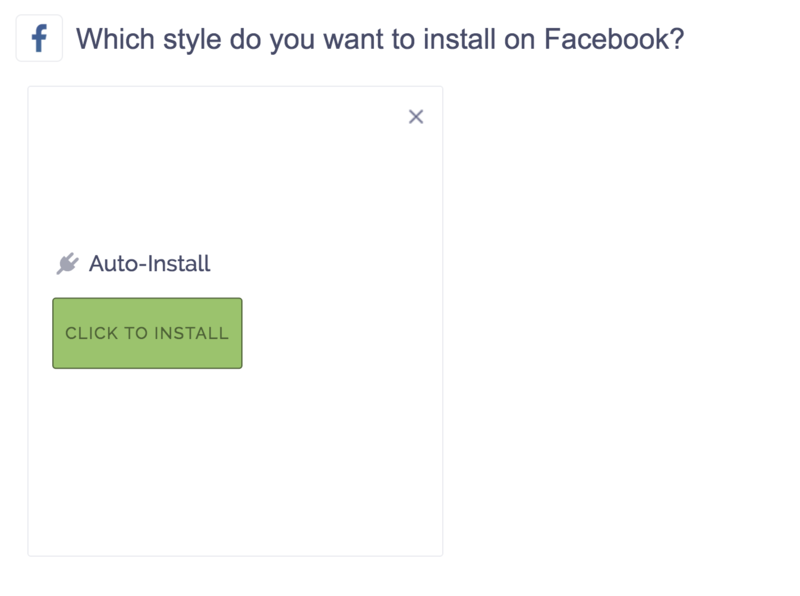 Next, choose Facebook > Install Widget > Auto-Install. 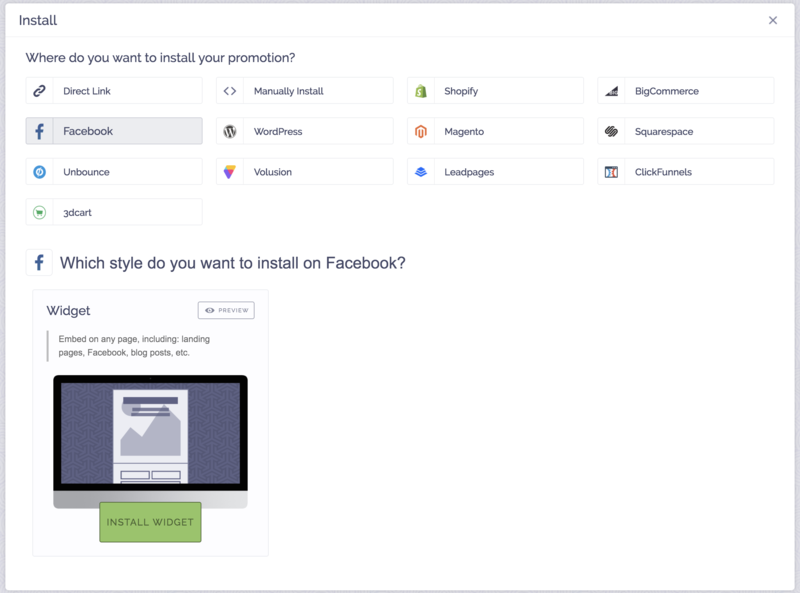 Choose a Facebook page to install your promotion to. If you do not see your page in the dropdown menu, check to make sure you are an admin of that page first. Once installed, click the button to go to your Facebook page to view the promotion. That's it, the promotion is now installed on your Facebook page. You can use the share link we provide you with to share the promotion (this link will work for desktop and mobile users), or you can click edit if you want to add content above or below the promotion. If you're planning to send all traffic to your Facebook page tab where the campaign is installed, you'll need to use the special share link that we provide you with on the page tab. 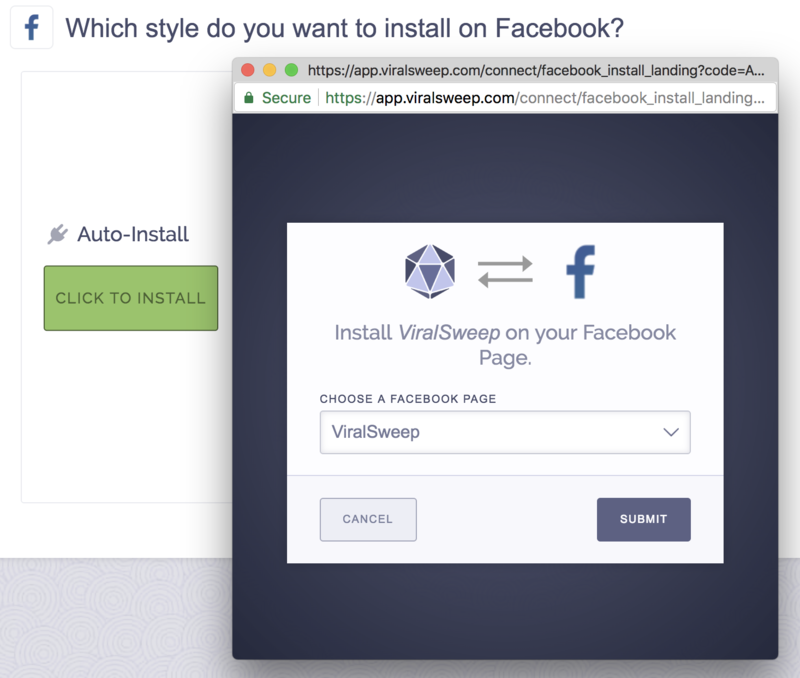 Facebook page tabs do not work on mobile devices, so this special link will recognize if the user is on mobile and it will take them to the hosted version of the landing page on ViralSweep (or if you installed the campaign to your website as well it will take them there). Please note: This share link will only show if you are signed into your ViralSweep account. 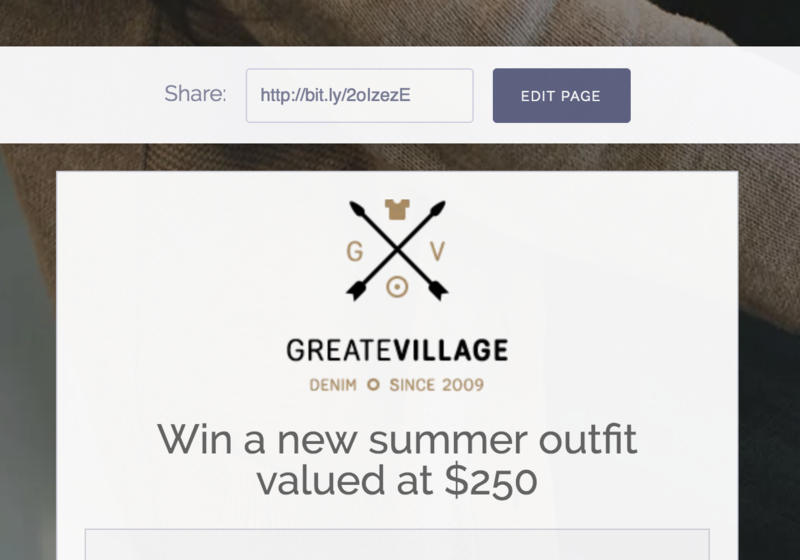 All other users will not see the share link box at the top of your campaign. 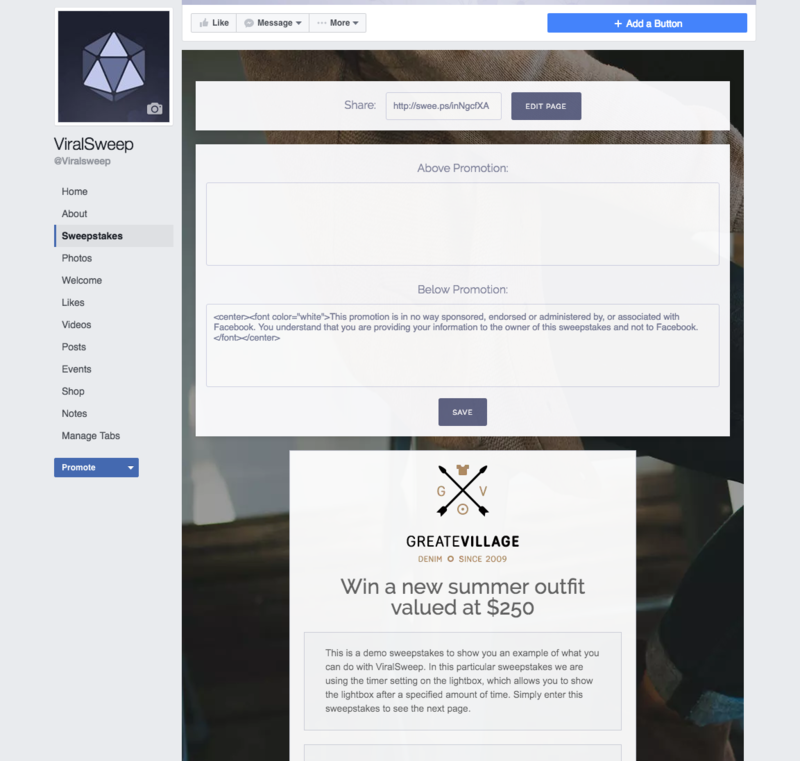 Still having trouble with adding your campaign to Facebook? Simply click the support or live chat icon to get in touch with us.